The Michigan State Fair at Novi over Labor Day Weekend was a resounding success. Supported by loyal Midwest Members an outstanding representation of the Highland breed was on display for countless fair goers. This was such an improvement over our experience at The North American in Louisville, that it is difficult to even compare the two. Enthusiastic and excited members of the public along with an equally enthusiastic group of cattlemen showing other beef breeds demonstrated the camaraderie that should be present at every cattle event. We were well liked and well represented. 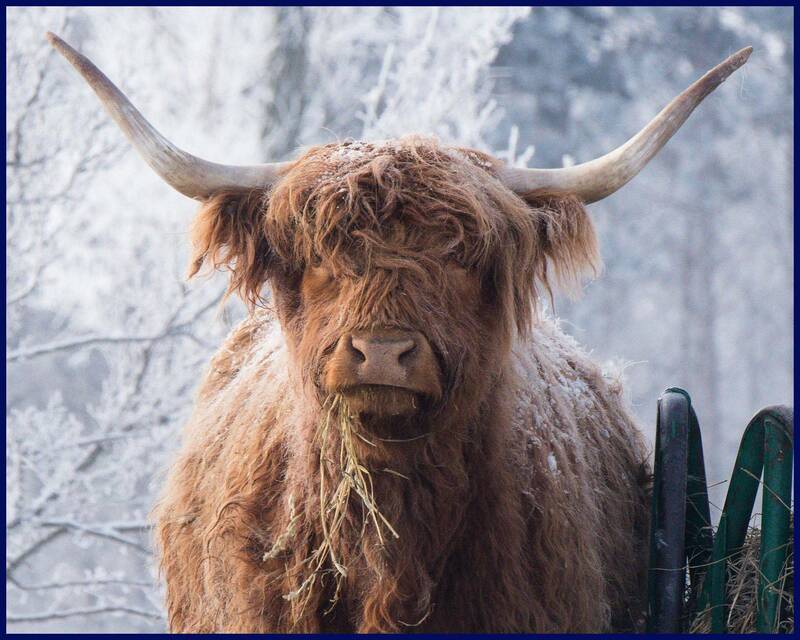 The Midwest has every reason so be proud of the quality of Highland cattle we produce and put on display. We had a splendid 4 day event in air conditioned comfort; a tremendous advantage for man and beast as the outside heat index soared into the mid 90’s. The beef superintendent had concerns that we would be unhappy with the facilities as the fair is a work in progress, but the general opinion from participants seemed to be that the facilities were perhaps some of the finest we have had the pleasure to use. Granted, at present time there is limited space for livestock but it is anticipated that that will be alleviated by 2017. Well worth the wait. We showed on Saturday and then had a great evening banquet on Sunday night. The food was exceptional, as was the company. Generous donors allowed for substantial monetary awards for the Grand and Reserve Grand pairs, as well as lucrative silent and live auctions, thanks to our unknown comic and auctioneer Steve Palosaari of Snowland Livestock. Bessheen Baker put together a slideshow presentation from moments at the fair for our enjoyment at the banquet, and those photos are reproduced in our photo gallery here. Rounding out the awards were presentations for Premier Exhibitor and Premier Breeder. There was a tie for Premier Exhibitor between Skye High Farms and Dundonald Farm, but Skyler Anderson squeaked out a win for Premier Breeder due to the Reserve Grand Champion Cow being Skye High breeding, which upped his number by a single point. Special Thanks to: Richard Muntz, John McLaughlin and Marion Belding for their expertise in helping us run a smooth show. 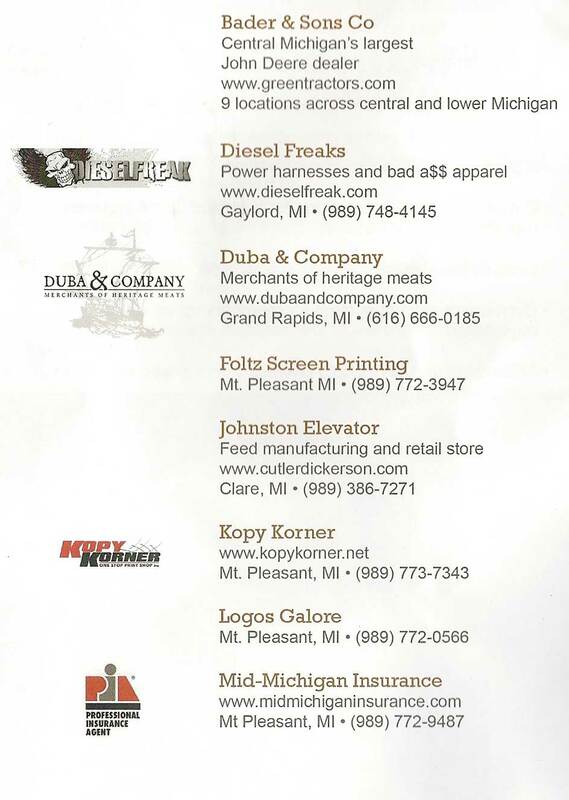 Also thanks to Kalmbach Feeds for providing first bedding for all the cattle at the Michigan State Fair. 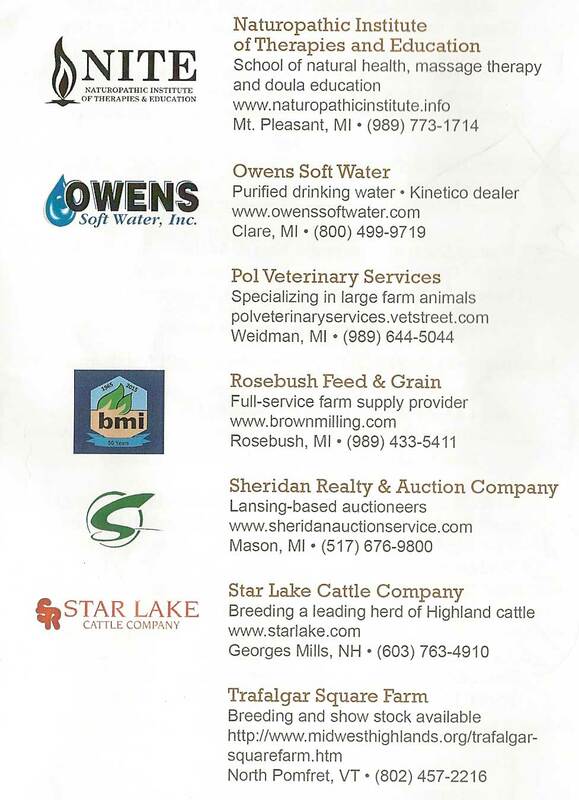 Thanks again to all the other generous sponsors who helped to support this first showing of Highland cattle the the State Fair.